The man has been practicing what he preaches. Indeed old habits die hard, some don’t die at all. 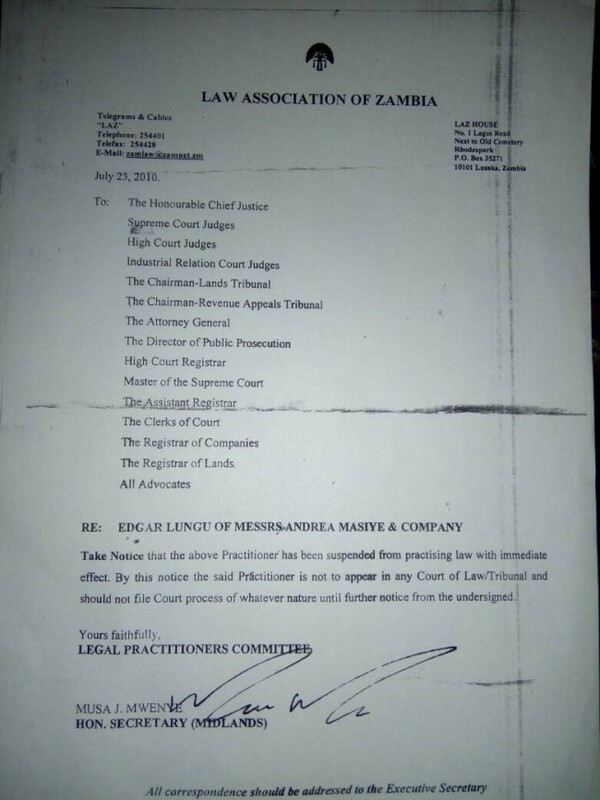 This is the documentary evidence that Edgar Lungu was banned from practicing law in Zambia after he stole money for clients. This is really shameful. This is the person who should be in charge of the country ? A thief, a fraudster, a scammer? Then you wonder why the only thing he has been doing from the time he entered State House is to steal, loot and grab and encourage his officers to do the same.